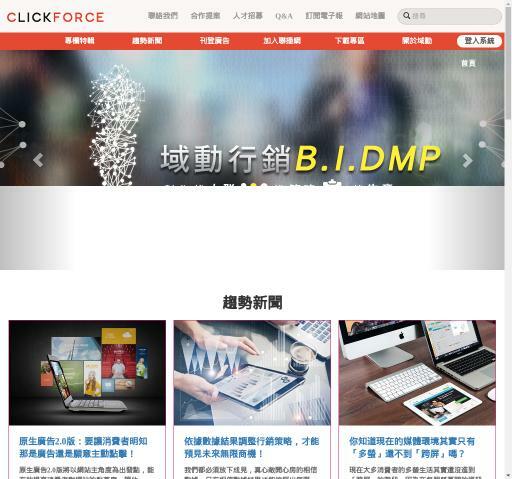 ClickForce is an advertising DMP, DSP, SSP platform that uses data marketing to provide their clients with the latest digital media services. ClickForce has more than 2600 simultaneous broadcast media and updates more than 30 million volumes daily. ClickForce’s data analysis results are applied to each DSP platform and monthly regular data monitoring brings the highest quality data traffic. Masters consumer behavior observed through data analysis has been manipulated in order to optimize performance. If you have any questions before registering with ClickForce, don’t hesitate to ask them using the contacts below. An experienced team will give their best to help you.